Workers' Comp Savings for Farmers and Harvesters with Payroll Services through Our Employee Leasing Companies! How Does A PEOs H2A Program Work? A PEO, or Employee Leasing Company that specializes in the H2A visa workforce for the agricultural industry, insure safety training, verify immigration documentation, keep proper payroll records and provide an experienced bi-lingual staff that completely understands the H2A program. The Department of Labor with the Department of Homeland Security and US Immigration has laid out a very structured program that allows farmers to hire employees from out of the country to harvest crops. The farmers who enter the program are subject to a high level of observation and inspection to insure worker safety, compensation, housing and more. 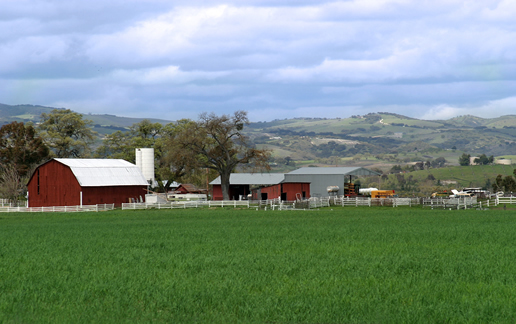 The farming and agricultural industry often requires multiple pay structures, along with unique seasonal employment needs. An employee leasing solution provides pay as you go workers' compensation insurance with complete payroll administration to alleviate the headaches of timely tax reporting, while eliminating work comp audits. PEOs can provide immediate discounts on workers' comp insurance for harvesters with little to no money down, manage unemployment claims and eliminate a number of employment related liabilities. Average payroll and HR service costs through a PEO specializing in the agricultural industry are 2% - 4% of your annual payroll. For example, an annual payroll of $400k at 3% would be $12k for services - much lower than in house costs and the Small Business Administration's surveyed estimate of 9% - 12%. Employee leasing companies provide paper checks, free direct deposit, pay cards, quarterly and annual tax filings and much more. With almost a thousand PEO employee leasing programs on the market, there may only a handful of providers that specialize in the agricultural industry. Needs that separate PEO services are high work comp experience ratings (claims), height restrictions and the states where work is performed. Since 2001, Employee Leasing Quotes has made the process of choosing the right company fast and simple. We identify your most important needs and provide the perfect fit for your operations. We've done the research for you, traveling and meeting with each PEO provider - understanding their strengths and limitations. Give us call to find out more. Transparency and information are key for these services working for you.